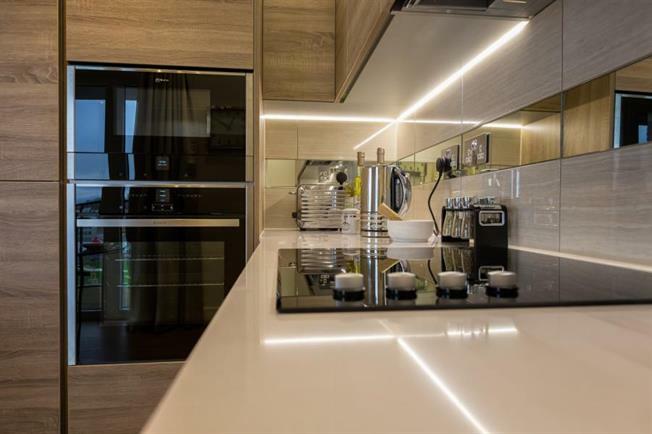 1 Bedroom Flat For Sale in Duke Of Wellington Ave for £485,000. HELP TO BUY 40% AVAILABLE. Waterfront II: Brand new, one bedroom apartment built by Berkeley Homes, situated within Royal Arsenal Riverside. This wonderfully bright and airy one bedroom apartment is set on the 1st floor in the heart of Berkeley Homes' Royal Arsenal development. The apartment has a south easterly aspect, benefits from a balcony and is 583 sq ft. There is a 24 hour concierge service and monitored CCTV, fully fitted integrated kitchens and a modern contemporary bathroom suite. Royal Arsenal is situated ideally for local shops, bus routes, DLR, main line station and forthcoming Crossrail. 999 year lease, please enquire regarding parking and service charge.